After starting life as a clump of spawn in early March and avoiding all manner of life threatening dangers the first baby frogs (froglets) have been making their first short journeys out of the water. This froglet is less than a centimetre in length and has a long way to go before he’s fully grown. 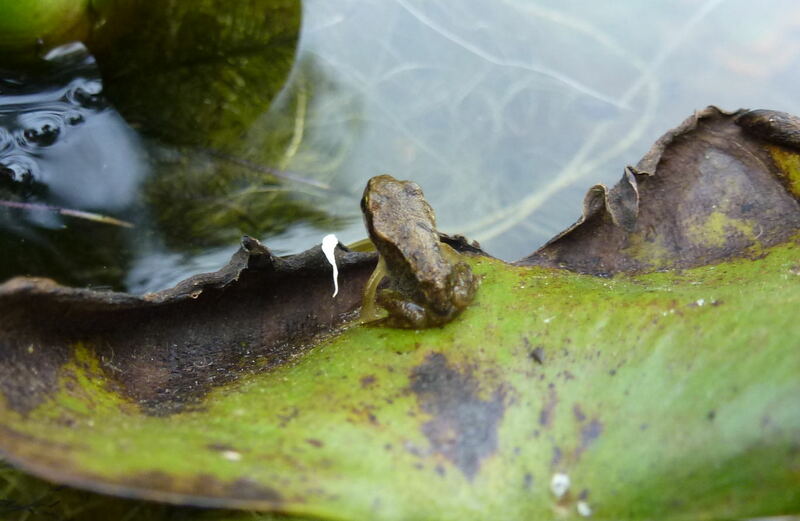 By the time their tail shrinks away and their limbs sprout the froglets are considerably smaller than the fully grown tadpoles from which their metamorphosis began. 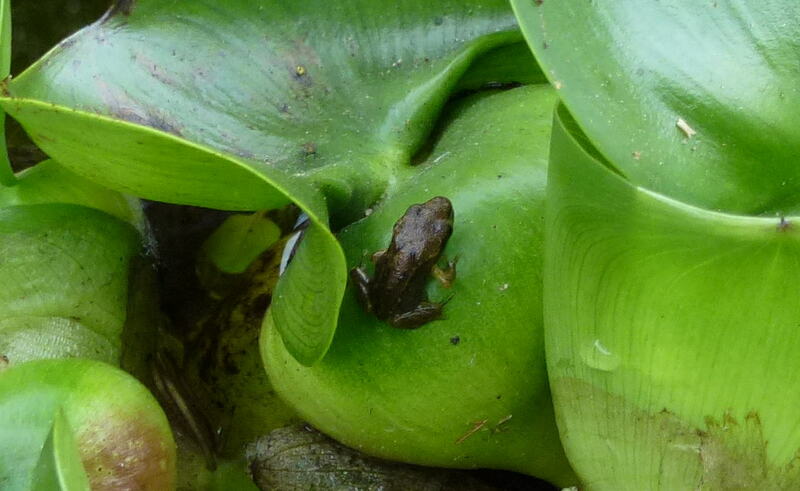 This froglet is ready to spring back into the safety of the water should things turn nasty on dry land. Frogs reach sexual maturity at around three years and if these froglets get that far they are likely to return to the same body of water to spawn themselves. Female frogs can lay several thousand eggs but only few percent will make it to become fully grown breeding individuals. This froglet may look like he’s got an enormous left front left leg but he hasn’t, he just happens to be resting next to what looks like some form of seed pod. 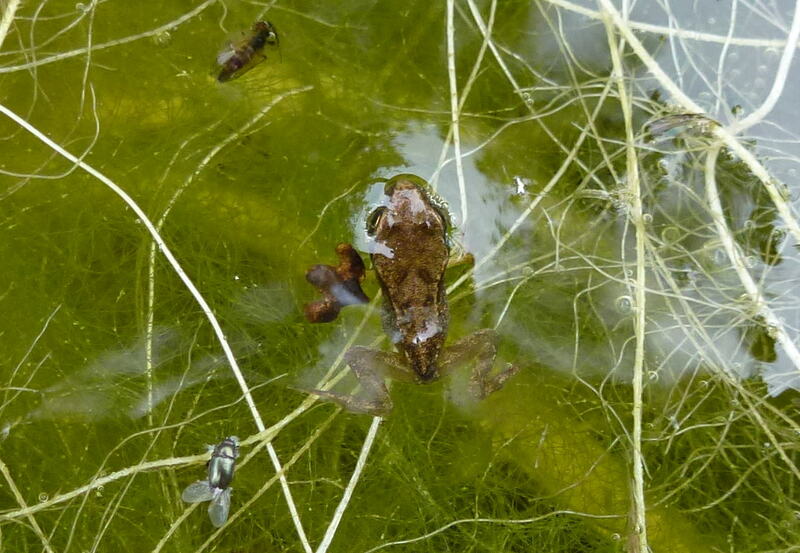 Some tadpoles don’t make it to the froglet stage before the summer months draw to a close. This is likely to be due to the pond having insufficient food resources to support all of the tadpoles that may be born there. 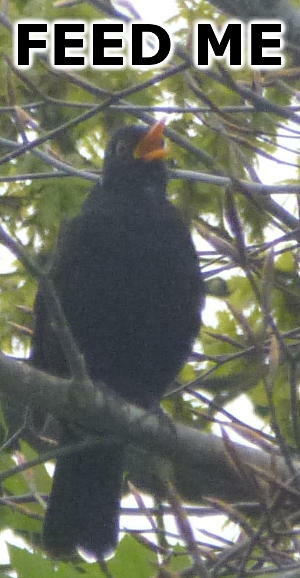 All is not lost though, larger tadpoles will occasionally over-winter in the pond to continue development (with a big head start) the following summer.